Floral tissues and wallpapers are very trendy this year. 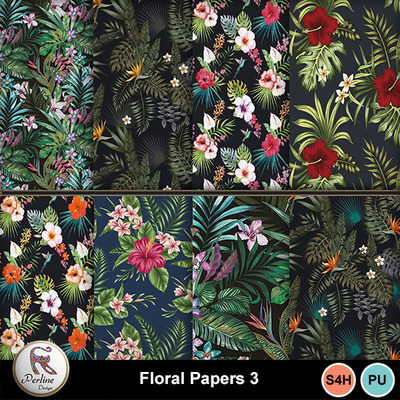 So why not floral bacground papers to make floral layouts ? I hope you'll love them as much as I loved making them.